Not only is the first coin in in an exciting new series, but it’s also a first for the Royal Mint as it represents the first time that a special Tower mint mark has been featured on an official United Kingdom coin! 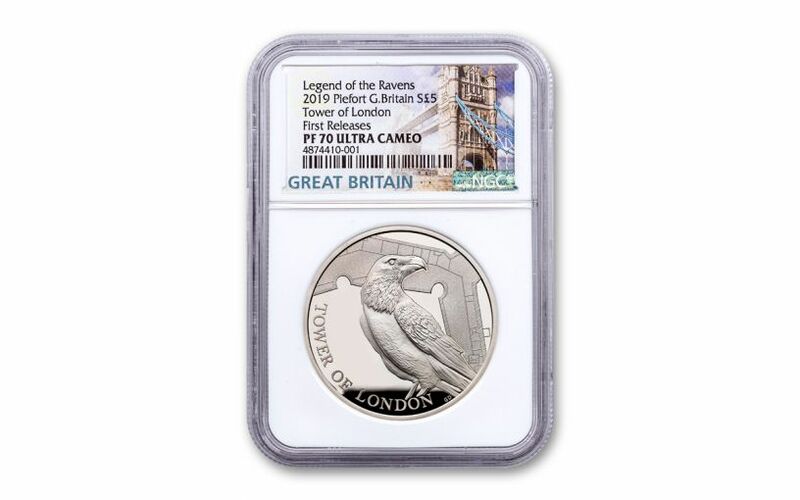 The mint mark can be seen just to right of the Raven’s wings on the reverse of this £5 legal tender coin. 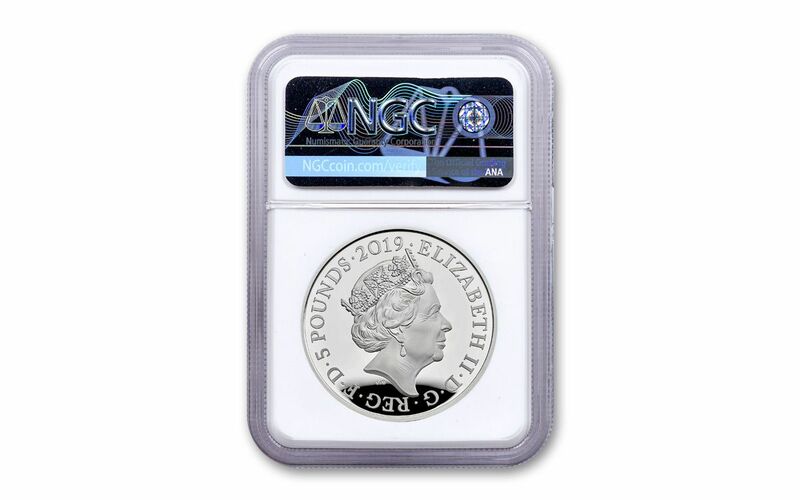 Plus, your coin has been graded by the Numismatic Guaranty Corporation (NGC) as being in flawless Proof-70 (PF70) condition, a distinction that means your perfectly-graded proof will have ZERO imperfections – showing all features and fields exactly as the engraver and mint intended.